On the scale of hard to find, this is a challenge. 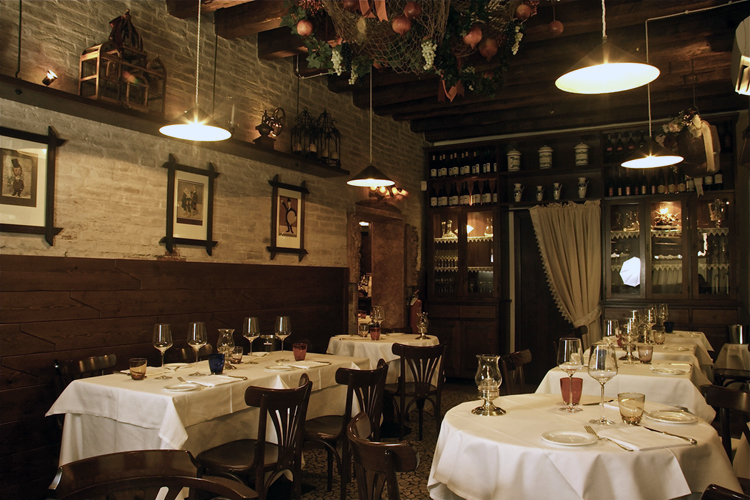 Venezia is notoriously hard to navigate at first but, as with most things, practice makes perfect – and we’re willing to practise. 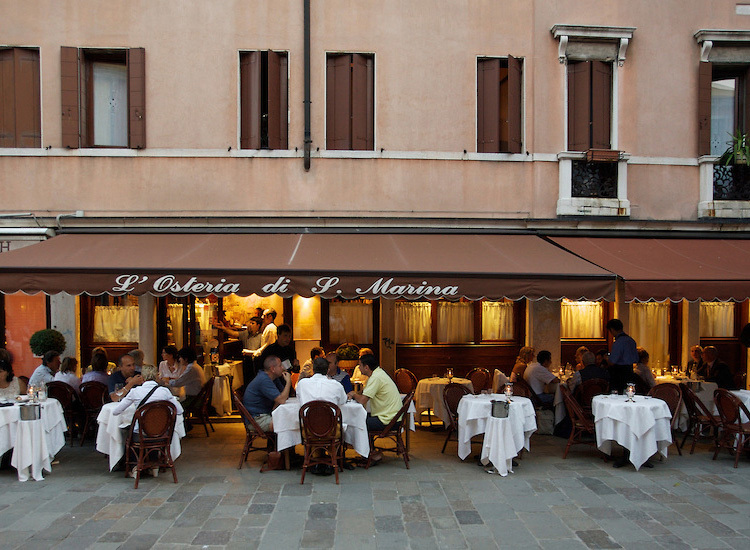 An osteria was originally a place serving simple food and wine, often serving cheap food at long shared tables. 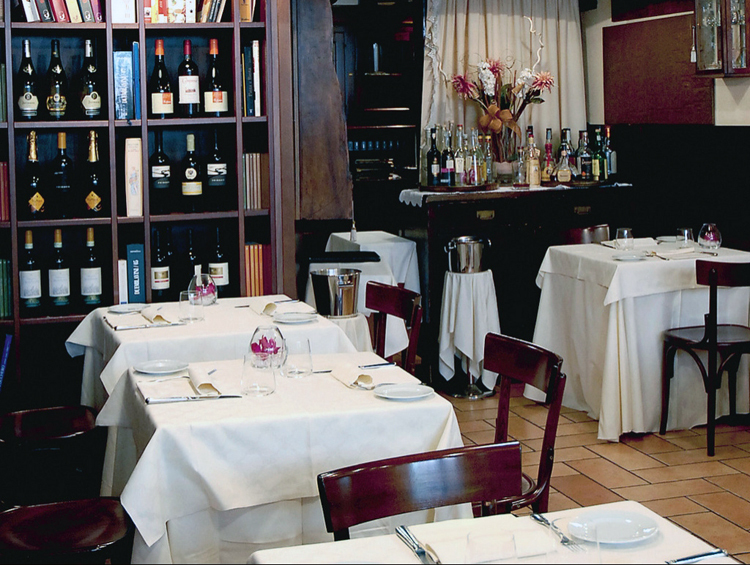 Well, things have changed and this Osteria serves really excellent food and wine. First discovered on a trip in 2009, we’ve since revisited as a 6 and sent a couple of others there to test the consistency. Good for lunch or dinner; must book.